Let’s talk about bacon. And chocolate. And alcohol. Literally what else could you ask for? The newest food guru in our lives is Natasha from Through The Eyes of My Belly. This amazingly delightful recipe was actually her first recipe she’s ever shared. Since making the post, she has, unsurprisingly, gone viral! 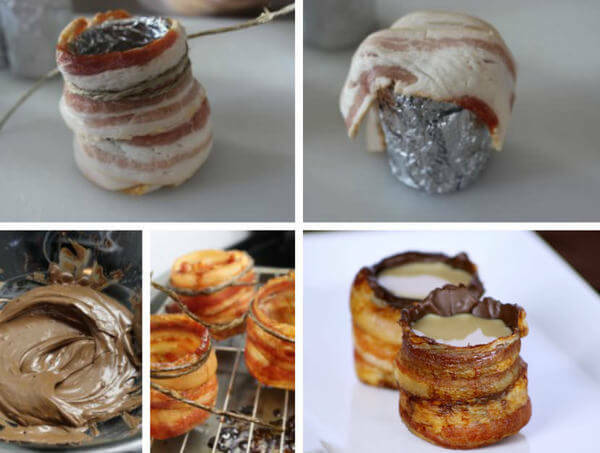 She has actually created this delightful concoction of a shot glass made from chocolate and bacon. More specifically, she takes paper towels and wraps them with tin foil, and then paints the chocolate onto the inside of the bacon. 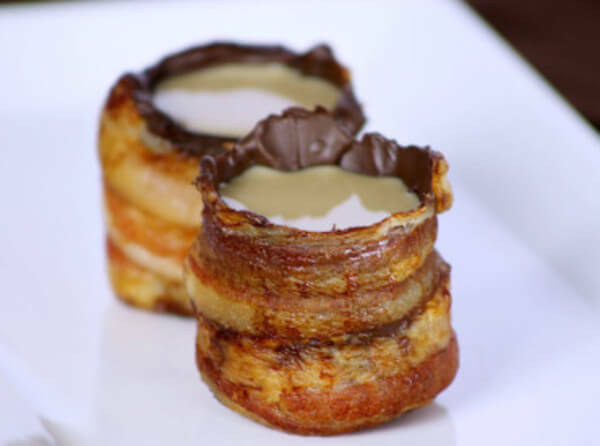 So whether you’re at a party, a dinner, or just a regular Friday night at your house, these bacon-chocolate shot glasses are a huge crowd-pleaser. For more information, visit Through The Eyes of My Belly.